Mildred Coley Anderson, 97, of Jackson, died on February 15, 2015. Funeral services were at 3:00 P.M. at Covenant Presbyterian Church on Friday, February 21. 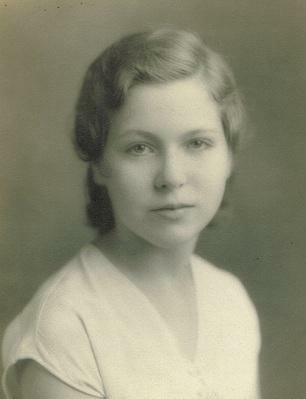 Mildred Anderson was born January 18, 1918, in Shelbyville, KY, to David Harrison Coley and Mary Elizabeth Brown Coley. With an early love for music, she attended Science Hill Academy and graduated from Atherton School for Girls. She then went on to major in Music and Language at Eastern Kentucky University at Richmond. While at Eastern, Mildred met and married her one love, T.J.H. Anderson. Mildred had a passion for teaching and music. Her career as an educator spanned 70 years, during which time she taught piano to countless students in Jackson, and volunteered for 20 years to teach music at the Mississippi Cerebral Palsy School. She was deeply involved in the music ministry at her church, teaching children's choir, directing the handbell choir, and teaching Sunday school. Later she broadened her musical talent to include the pipe organ and shared this talent by playing for local churches. Mildred's love and support of the fine arts community was well-known; she was a charter member and former board member of the Jackson Symphony League, a charter member of the Opera Guild, a former president of the McDowell Music Club, and a former treasurer of the Georgia Bailiff Scholarship Fund. She was an enthusiastic member of the Jackson Chapter of the American Guild of Organists (AGO) and served as Chapter Dean in four different seasons (1968-69, 1970-71, 1975-76, and 1983-84). The 1970-71 term was more significant than most, as the Chapter hosted the AGO Regional Convention in the spring of 1971, which required a major effort from the Chapter officers and members. She is greatly missed by the Chapter and by all those who knew her. 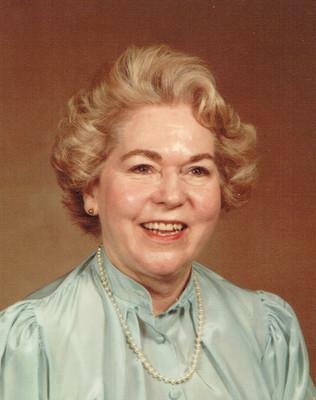 Her social pursuits included tenures as president of the Federated Women's Club, president of the Twin Pines Garden Club, and president of the Mecca Luncheon Club. She was preceded in death by her husband, T.J.H. Anderson and oldest son, Dr. David H. Anderson, professor of mathematics at SMU, Dallas, TX. She is survived by her son, T.J. Anderson (Gwen) of Jackson, and her daughter-in-law, Susan B. Anderson of Dallas, TX; six granddaughters: Cassie Anderson Smith (Carter), Kristi Anderson Redmond (Scott), Shana Anderson, Adrienne Anderson Whaley (Jason), Chrissy Anderson Maggio (Chris) and Ashley Anderson Heath (John); and eleven great grandchildren. The family requests that in lieu of flowers, memorials be made to The Georgia Bailiff Scholarship Fund, 2660 Lakeland Drive, Flowood, MS 39232, or Covenant Presbyterian Church 4000 Ridgewood Road, Jackson, MS 39211.